Apparently 20th Century Fox’s “The Big Gamble” is airing in the UK right now, so I thought I’d post a few photos from the film. It’s one of my favorite Stephen Boyd movies, and it’s a shame it hasn’t been released in it’s full wide-screen splendor on Blu-Ray! Juliette Greco, the fantastic French chanteuse, is delightful, as is David Wayne. It’s also a perfect role for Stephen Boyd’s rugged Irish demeanor. The film was made in various locations – Ireland, Southern France, and the Ivory Coast of Africa – during the spring and early summer of 1960. Read more about The Adventure of filming “The Big Gamble” here. Of all people, the delicate but intrepid Juliette Greco made not one – not two- but three drama/ adventure movies in Africa! Talk about the African Queen! The films are “The Naked Earth” (1958 with Richard Todd), “Roots of Heaven” (1958 with Trevor Howard) and “The Big Gamble” (1961). 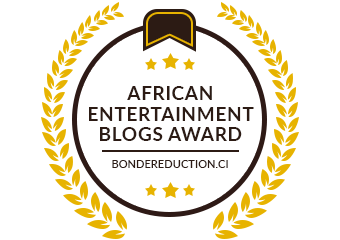 Be sure to VOTE for the AFRICAN ENTERTAINMENT BLOGS AWARD! < Previous TCM is playing “Fantastic Voyage” tomorrow night!